The relic of St. Francis Xavier is treated, in some ways, like the Stanley Cup. It is carried around in a large padded duffel bag, escorted by an appointed guardian, D'Arcy Murphy. Organizers don't trust the checked baggage experience, and it's too large for the overhead bin, so the patron saint's arm flies in its own economy class seat. 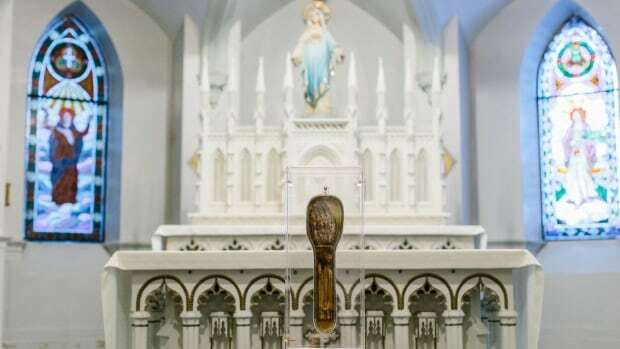 It's believed the relic has only left its usual resting place at Rome's Church of the Gesu on five other occasions, and this is the first visit to Canada. The Stanley Cup of holy relics?! I always have trouble getting my Protestant brain around the notion of the veneration of supposed pieces of the true cross, or body parts of saints, or even the shroud of Jesus. Why do they attract such interest? This tour might prompt us to consider the Society of Jesus or Jesuits, the Roman Catholic order founded by Xavier and which a colleague described as the ninjas of the church (she married a former Jesuit priest.) I do admire the intellectual rigour of the Jesuits. They are also intriguing in their evangelistic courage and willingness to address the cultures of the lands where they worked. The history of Catholicism is often grim in its alliance with conquering empires and the subjugation of indigenous peoples. The Jesuits often took a different path, coming alongside peoples, learning native languages and cultures. We may be aware of Jesuits through movies such as Black Robe and The Mission, the novel The Orenda, as well as one of the few Canadian Christmas hymns, The Huron Carol. Mind you, all these have come out of the dominant culture. I'm going to go out on the limb(sorry) here and predict it will be an incredibly popular tour. Personally, I think it's nuts and I have no interest in seeing it whatsoever.